These sessions capture your family interactions, candid moments, and real smiles, with a lifestyle feel. Your un-rushed family photoshoot lasts around an hour, but longer if we need it. Don't worry about melt-downs, clothing changes, or snack breaks - those are all part of the territory! These sessions take place in your home between 8am and 2pm, Mondays through Saturdays. These sessions take place at an outdoor location in the Indianapolis area, and begin approximately one hour before sunset. About two weeks after your session, you’ll come to the studio for a viewing & ordering appointment. Purchase only the images you love for a completely customized experience! Pricing begins at $75 per image. 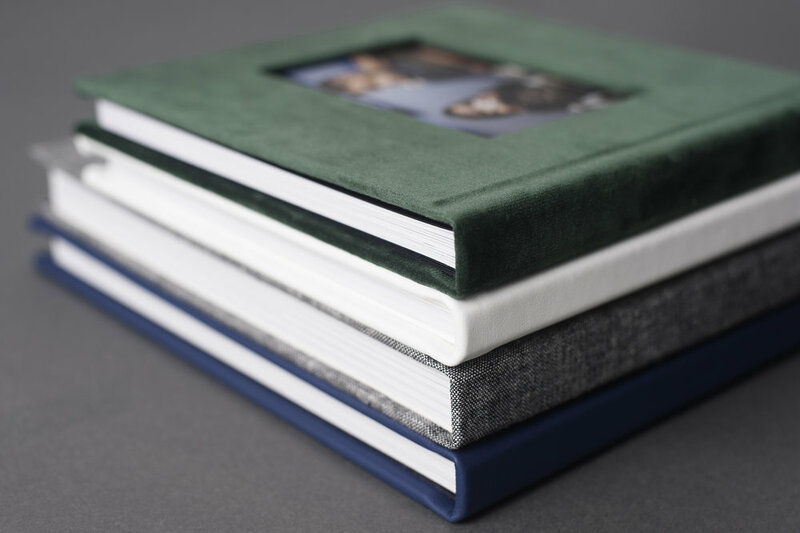 Order 10+ digital images to receive an incredible, lay-flat heirloom album. These albums are unlike anything you've seen before - luxurious and showstopping. You will cherish your photos forever.